Did you know 60% of America's inmates are illiterate and 85% of all juvenile offenders have reading difficulties? In Fresno County, incarcerated youth and those in continuation schools are typically four to five grade levels behind. 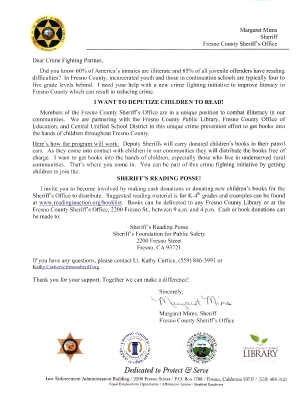 I need your help with a new crime-fighting initiative to improve literacy in Fresno County, which can result in reducing crime. 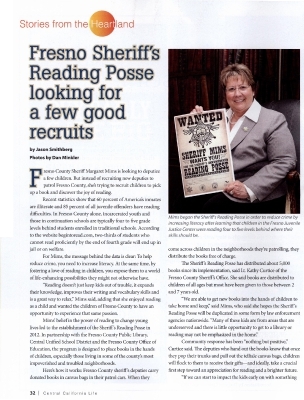 Members of the Fresno County Sheriff's Office are in a unique position to combat illiteracy in our communities. 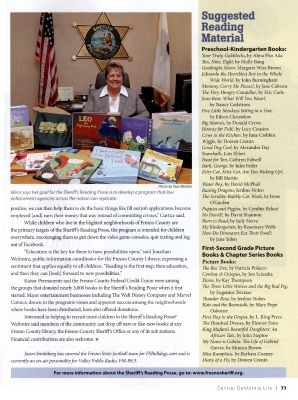 We are partnering with the Fresno County Public Library, Fresno County Office of Education and Central Unified School District in this unique crime prevention effort to get books into the hands of children throughout Fresno County. Here's how the program will work: Deputy Sheriffs will carry donated children's books in their patrol cars. As they come into contact with children in our communities, they will distribute the books free of charge. Thank you for your support. Together, we can make a difference! Here are titles appropriate for Kindergarten through Fourth grade students.